This Christmas season, as usual, I returned to my parents’ house to get together with my immediate family. We had recently given up a long-lived tradition of buying a present and writing a poem for a person in the family whose name we draw from a “hat” (or the online version thereof), and had chosen instead that each person would have the freedom decide about what to do, if anything, for the festivities of Christmas Eve. Since I had always liked the challenge of trying to write poetry, I had an ambivalent attitude toward this: while happy that people could get a break from the excessive demands of Christmas social events and invest their efforts instead into trying to be calm and nice to each other, I was also sad to see the demise of the demand that ordinary people plumb the depths of their creativity and conjure up some poetic beauty (or, more often than not, comic hilarity). In any case, I myself felt too busy to write a poem and decided not to, but ended up changing my mind at the last minute, realizing that the tradition would completely disappear if those who liked it let it go. In full-on “serious poem” mode, I took the opportunity to reflect on what it was like to grow older with siblings—with people who fashion the shape of one’s life but go on to make their own, with people with whom old, shared delights and conflicts continue to linger. Through writing the poem, I was led to think about the way in which age brings a certain kind of determinacy with it, such that after a while it is no longer very realistic to think that one can become anyone or do anything—for, among other reasons, if that were the case then it would be at the expense of abandoning the things and people to which one had already committed oneself. I thought about the people about whom I have learned to be deeply concerned, who had previously been indeterminate, free, and capable of being almost anything in the world, and I wondered about whether it would be challenging for them to reckon with the fact that they had, perhaps inadvertently, made specific lives for themselves. It can be difficult to come to terms with the fact that at a certain point not just anything is possible, and also difficult to see other people learn that, when they’ve been expecting something different—expecting to be able to live indefinitely in the mode of discovery, exploration, and creativity. But the idea that there are people and things to which one commits in the process of living a life means that we develop powers. We fashion specific worlds that support our activities; we find individuals and groups of people who share our interests; we develop skills that allow us to pursue the things we care about in more powerful ways. Our worlds become more determinate, more fixed, and more closed off to other forms of activity and possibilities, but for the reason that we have developed focus, which renders us and our specific domains more capable of producing significance. The greater the focus, the greater the productivity, or the more specific the world, the more capable it is of producing meaningfulness. There is much to be said for the experience of openness—for the feeling of a connection with an infinite capacity for creativity, the feeling that there is a whole world to be discovered, both inside and outside oneself. But there is also much to be said for expressing and enacting that feeling by doing, creating, and discovering something, and by discovering and connecting with someone—for focussing on something or someone and answering to its terms, for shaping one’s life around something or someone. Freedom involves a pure openness, the feeling that there are no limitations and that one can change one’s relationship to the limitations one has adopted, but it also involves employing that openness to do something specific and thereby to become someone capable of doing specific things, someone with a “power.” Freedom is both being open and doing something. If we think of freedom solely in terms of the experience of openness, of the idea of being unlimited and unconstrained, we remain children, incapable of setting down roots, following through on our commitments, developing ourselves in specific and determinate ways, and answering to the determinacies we have developed. Freedom also involves doing something and thereby enacting a commitment, which can blossom into a rich, complex, and concrete life. This side of freedom involves the embrace of growing older, which brings with it powers and commitments but also limits and constraints. While it is entirely appropriate, in the name of the “open” side of freedom, to recognize that one may at some point need to “begin again,” at least in part and insofar as one can, the “closed” side of freedom deserves not just whimsical nostalgia for youth irreversibly bygone but celebration. We will always make lives—we are not free from that inevitability—and they will always be specific, focussed, and limited. Through making them, we develop powers of agency and powers of relation, powers that can help guide others through the inevitable project of life-fashioning. Shannon Hoff is Associate Professor of Social and Political Philosophy at the Institute for Christian Studies in Toronto, and President of the Canadian Society for Continental Philosophy. In 2013 she was a Visiting Fellow at the Institute for Cultural Inquiry in Berlin, Germany. She is the author of The Laws of the Spirit: A Hegelian Theory of Justice, forthcoming in April with SUNY Press, as well as of numerous articles in modern and contemporary political philosophy. 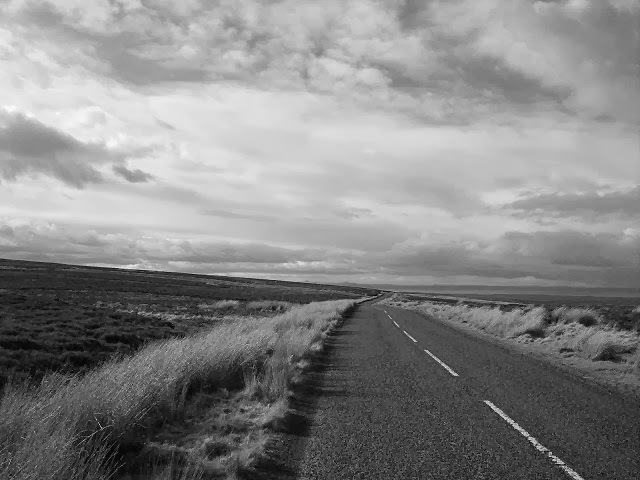 First photo by Richard Webb, used from http://commons.wikimedia.org/wiki/File:Open_road,_B6355_-_geograph.org.uk_-_150433.jpg. Portrait of G.W.F. 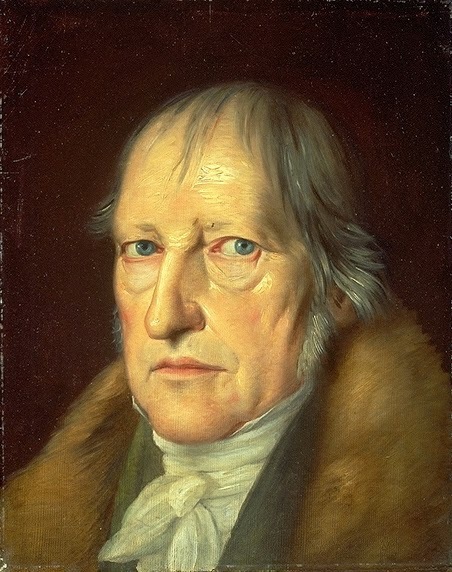 Hegel by Jakob Schlesinger circa 1831, used from http://en.wikipedia.org/wiki/File:Hegel_portrait_by_Schlesinger_1831.jpg, public domain. Good article! As someone who fears making decisions and committing to things, this was good read. It's an interesting point to remember too how some options can only be opened up by making a commitment in one area and therefore closing off other options. I don't get it. Are any limits celebrated? When you wrote the poem anyway, didn't you exceed a limit? Or were you trying to get everyone else to keep up the poem tradition, and so affirm the old limit? Which is a celebration? Thanks for this, Dr. Hoff. I wonder what you would say about Hegel's relationship to Aristotle on this topic. Seems like there's something similar going on in Aristotle's Politics--i.e. the importance of "ruling and being ruled in turn". But then again the indeterminacy that Hegel is talking about doesn't seem to be possible in a pre-Christian (maybe pre-modern?) imaginary marked by a metaphysics of phusis. It's almost like Aristotle and Hegel share versions of an indeterminacy/determinacy dialectic (correct term? ), but that the latter's is more extreme. This topic is super interesting to me because I feel a strong obligation to maintain an intelligibly Christian stance towards eudaimonistic account of politics/ethics. If it were up to me, I'd just baptize Aristotle and be done with it, but it's probably not intellectually responsible to take that sort of position in light of important developments in history since, well, a long time ago. Moments into reading the second paragraph of reading your post, my mind was running happily wild with thoughts of how helpful your ideas about determinacy and indeterminacy, commitments and freedom would be for my class on Hegel (in which we're currently studying the role that work can play in developing the self-consciousness of the slave). I had already noted quietly that I would send them the link. Little did I know that your post would become so utterly helpful in bringing Hegel's difficult ideas to life...but, then actually, I am not all surprised given its author. Thank you, Shannon! I will be sharing this insightful and engaging piece post-haste! I really enjoyed this Shannon, and I feel all kinds of thoughts about boredom and creativity and being with others tumbling about wonderfully. One of them is how often becoming something determinate happens when we aren’t looking, when we think we can just do this stupid thing in a corner and no one will notice. Sometimes we need that kind of dumb love in order to get over the endless possibilities of freedom, or ignore the weighty spectre of the thing we’re trying to become, and just do it already. But it is frighteningly blind sometimes, until perhaps a sibling’s quizzical brow reveals just how long we’ve been in that corner making something of ourselves. Siblings can exchange very keen looks sometimes, wrapped up in a long history of flailing side-by-side through various formative dumb loves. I think this might be why I like the idea of the poem tradition mentioned, and sympathize with wanting to continue – it reminds me of how important interpreting our histories is once we realize what we’ve become, and doing it with others who know us well. Writing the poems sounds like a re-affirmation of the care and humour being brought to that shared responsibility. Christmas, often a time for interpreting stories together, seems like an apt time to remember a commitment to doing it with love! Kirsten, I know how hard it is to get workers to work. What is your class talking about with the role that work can play in developing the self-consciousness of the slave? That reflects on this article? Your post really resonated with discussions I've been having with a number of students the relationship between our habits and customs and our freedom. In particular, you helped me see more clearly the power of our habits and customs; they give us possibilities we would not otherwise have. I wonder if part of celebrating the 'closed' side of freedom involves becoming more responsible for these customs and, sometimes, transforming them so that we can answer even more powerfully to our commitments. This is a pretty nice indirect argument for why to read the great texts in philosophy--if they can help you see more deeply into the living issues of being human as this, through Hegel, does. One thing this makes me think about--to bring perhaps a more anxious side to this really important celebration of limitation--is how much therefore rests on the specific ways in which we develop ourselves. On my mind these days in particular is the difficult situation faced by folks released from prison who are trying to start their lives anew. Before prison, they may have developed in specific ways that gave them great power for, for instance, making money in illegal ways. Upon release, they find themselves having to develop new powers, and in a world that doesn't support that very much (e.g. it's hard to get a job when you have to check off the convicted criminal box; it's hard to get an education when you dropped out of high school to make money; it's hard to find others who support and further your newly developing powers when your community is committed to those other things). It's rather anxiety-provoking to realize that one might develop oneself in ways that your later self sees as constricting, rather than empowering, so that you now have to make that new start, but with a certain kind of gravity pulling against you. "Might develop oneself in ways you later find constricting" I say; or maybe inevitably we all do this to some degree? I guess you're also saying that. In any case, it doesn't lessen the point that limitations are also openings, and therefore have a side that is worth celebrating. I'm going to focus on that side for the weekend, thank you very much! Shannon, I found this quite moving, not only because I know you, nor because you cite Hegel (kidding! ), but because it struck me as an honest reflection upon the experience of freedom and ageing. Was this the poem written in the urgent fear of losing a tradition worth saving? If not, it certainly could have been. And if not, I would certainly like to read it. To draw off of Kym’s point, I felt your post not only cast light upon the value of commitments and limits as such, but also began to suggest that some commitments appear more valuable than others. Some other time, I would love to hear more about how we might adjudicate, consciously or unconsciously, these conflicting and overlapping commitments. This strikes me as relevant to your argument because the general disparagement of limitation may follow from a perceived impossibility of evaluating the choice-worthiness of commitments. Moreover, it seems to me that Hegel not only highlights the value of limitation as such, but also specific limits that we often ignore or strive to overcome. In any case, I hope you succeed in saving your family's tradition. I'll be sure to try to create it among mine. Thanks for the post; I'm looking forward to more. Very engaging piece, Shannon. This treatment of freedom in Hegel that you're developing seems to have really important connections to a number of issues in moral philosophy and meta-ethics. It seems to me that you're treatment opens up the idea that freedom has a crucial moral component that could be expressed in terms of certain virtues (e.g., loyalty, much as Josiah Royce treated it in his neglected but great Philosophy of Loyalty). Also, there is a trend to think of morality itself as hinging on the conditions for being a person: constitutivism. Typically this is explored in highly abstract terms, and those developing it (e.g., Korsgaard) look to Kant. But this treatment raises the possibility of looking to more concrete aspects of being a person, which to me is welcome. This is a rich vein of Hegel to explore -- thank you for pointing us to it! Thank-you for this thought-provoking meditation on the nature of human freedom from the immense riches of Hegel's philosophy. I am quite convinced that, in order genuinely to be the fully embodied, finite, and, if I might add, "storied" creatures that we in fact are, we must learn to embrace limitation as the very condition of our being free. As Heidegger puts it, in order to "dwell" as human beings, we need to learn to "build" (i.e. determine) our lives in such a way that we continually hold ourselves open to question, to "thinking". We must learn to live with an openness to the radically contingent, and so potentially transformable, nature of life itself. And this activity is precisely the resolve to do something, to say something, to make something, without the fear of loss and death. But maybe this means that we in fact should become more, not less, like children, with the courage to imagine, to fantasize (in Marcuse's sense of the term), an inexhaustible love at the heart of freedom, a love that can transform us beyond what we think to be even possible. I appreciate all the insightful comments. Although I won’t do justice to them, I thought that at least a brief response was in order. With regard to Heidegger and Aristotle, I also think of them as rich resources for this line of thinking; each of them seems to be fundamentally oriented to this issue of limitation and determinacy. The point about ruling and being ruled is a really great one in Aristotle; I think of it as a widely applicable idea, relevant as much for the development of mature personhood as it is for the just enactment of a political domain. Similarly, the idea that we may in fact need to be childlike in some specific way is a nice way to express Heidegger’s description of thinking in the midst of dwelling, and Hegel’s description of indeterminacy. With regard to the issue of being responsible for our customs, they do seem to be the sedimented trace (and condition) of free human activity, and it’s likely that we sometimes aren’t sufficiently oriented toward them as such; either we think of them as tired old meaningless chains, or we underestimate the way in which they, as the outcome of free activity, implicitly extend to us the invitation to creatively participate in their ongoing dynamic existence. It does seem important to keep alive for ourselves the way in which the two—determinacy and indeterminacy—are related to each other. With regard to the issue of evaluation, it does seem that there is some kind of measure as to how to discern between different kinds of commitments available here: Is this commitment, this specific enactment of freedom, answerable somehow to my continued capacity to change, or to distance myself from my commitments? What kind of future will it allow for me? Is my orientation toward my own openness alive enough to the demand to do something, or to the fact that I’m always doing something? And, with regard to the issue of making your freedom real in ways that are actually detrimental to your freedom, it is true that sometimes people make decisions and enact their free capacity in ways that are more constrictive than usual, or that fail, in a sense, to make freedom actual. It’s socially important, I think, that our vulnerability to this possibility be recognized; we are vulnerable insofar as we are dependent on others, who may open us to very few possibilities, and insofar as we always act in the context of a certain blindness with regard to the lives that our actions will create. It seems important that we construct a shared social context that can “acknowledge” the fact that freedom has specific determinate aspects, and that can allow people a continued flexibility in relation to the determinate characteristics their lives have acquired.